*The history of Weeksville (James Weeks bought land in order to vote) and the four projects of Funk, God, Jazz and Medicine pointed out the intersections between race and space, that part of self-determination is the ability to claim and preserve safe spaces and refuges. *Weeksville’s history and the protects also stressed sustainability, creating sustainable projects that benefit the community and environment. Instead of looking at the community as having deficits, we look at it as having a richness of resources and assets. *Art should not be for just for art’s sake, but should encourage political action and involve the community and community organizations to build solutions together. For example, MacArthur Fellow Rick Lowe has a community revitalization project in Houston where he transforms a block and half of houses in poor condition into Project Row Houses (PRH). *We need to support more of our own institutions before they disappear. Several of the institutions and organizations in the Weeksville neighborhood struggled to stay open, including the three places involved in the exhibition — Stuyvesant Mansion, AME Church and Weeksville Heritage Center. 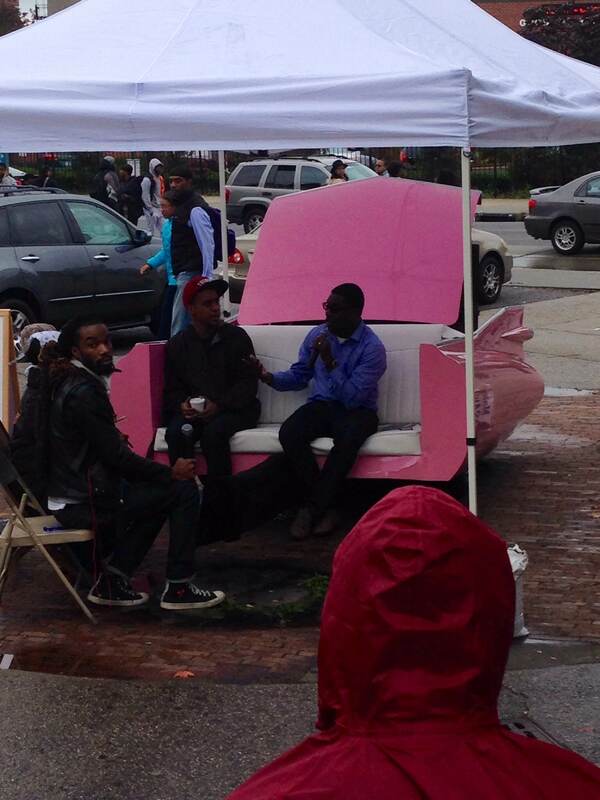 As gentrification creeps in, it is more and more difficult to keep these institutions here. *Xenobia Bailey and Stanley Kinard (of Boys and Girls High School) discussed the history of black radical tradition in Brooklyn and across the nation, and how we need a return to it. Some examples he mentioned were Operation Breadbasket, Milton Galamison’s school boycott effort, the fight for the decentralization of schools in New York City that allowed for more community involved and Uhuru food cooperative. Kinard said several of these initiatives have lost ground, for example, schools are now re-centralizing, which is closing out community involvement and local school boards. Continuing, he mentioned how schools are also failing students when it comes to teaching them about their histories and the histories of their communities; Kinard believes we need more culturally relevant community school. *Bailey talked about her work as a designer and creating work in the aesthetic of funk, such as in her piece, Paradise Under Reconstruction in the Aesthetic of Funk. Her work has been a mission to fight the myth that was told to her that African-Americans and the Afro-diaspora as well had no material culture or artifacts, and to cultivate that supposed missing aesthetic of black cultures. Although she grew up poor, she never realized it, finding much creativity and resourcefulness in her family and community. It was only until she attended college and saw how media portrayed poor black people, in a negative light, that she understood the dismissal of those cultures as beautiful. 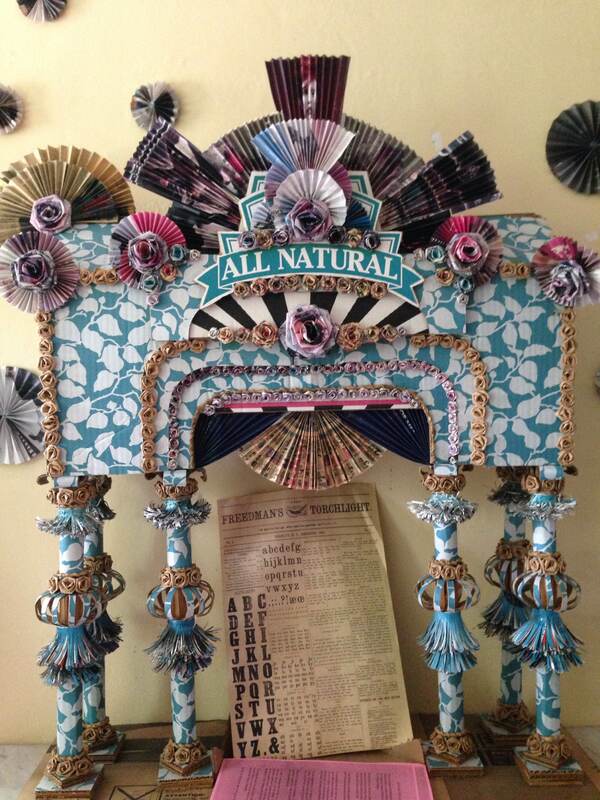 In this project, she brought together students who all came from different places of the diaspora and had them incorporate aesthetics from their cultures into their designs. Bailey stressed the importance of not surrendering the local, specific creativity of each of these cultures for the broader popular cultures because that is how we cultivate cultural equity. For Bailey, that involves funk, taking the essence of whatever decomposing material, using it to fertilize new creative materials. *Although Bradford Young could not be there, the curator Rashida Bumbray took his place and discussed with AME church historian Ron Johnson, about the history of the black church and its historical involvement in the black radical tradition. Bradford Young’s work brings out the humanity of black people through his rich imagery, and along with Leslie Hewitt, together they did the same to bring to the forefront the special place in history that the black church had in providing a safe space for the humanity of black people to exist. As both Bumbray and Johnson discussed, black people have been pioneers, especially in spiritual traditions, moving in time and space before others, much like Bynum Cutler moved through time and space in music. Read Frederick Douglass’ speech about the emancipation of the British West Indies that Johnson mentioned that emphasized the travel of pioneering ideas like freedom and self-determination throughout the diaspora. *Robert Pruitt of Otabenga Jones and Associates presented with Clarence Mosley, the chairman of the Central Brooklyn Jazz Consortium, one of the longest running jazz centers. Mosley stated that Jazz musicians have always been ahead of the curve of what’s happening in the community. But now the art does not receive as much support as other classic genres, many of its venues are closing and jazz musicians do not receive pensions or benefits. Much of this has to do with the lack of financial support and capital given to black communities to keep these running. Pruitt related Mosley’s words to his own work in Houston and the radio station in Brooklyn. Although he had to get help to establish the radio station in Brooklyn because he did not know as well the specifics of the neighborhood and its history, he stressed the importance of finding things that do not seem to be present and make them present again, accessing histories and bringing them to communities now, like the history of The East in Brooklyn. *Simone Leigh and DeeArah Wright, on behalf of Dr. Josephine English’s family at Stuyvesant mansion, ended the conversation with healing as a radical act. Records of self-determination when it comes to medical and health practices are much overlooked, although examples exist, like English, one of the first black women OBGYNs who also established a women’s health clinic, Black Panthers’ clinics and free breakfast programs, and The United Order of Tenths. Wright mentioned her work in establishing socially conscious real estate, creating spaces and systems for collective support. As many are malnourished in body and spirit, we are looking for alternative paths of healing oneself not dependent on conventional Western medical practices, which are often reactionary instead of preventive and proactive. The moderator for this conversation, Dr. Samuel Roberts, who is the director of the Columbia University Institute for Research in African-American Studies (IRAAS), associate professor of Sociomedical Sciences (Columbia University Mailman School of Public Health), and author of Infectious Fear: Politics, Disease, and the Health Effects of Segregation, gave several thinking points for the discussion: the separation of medicine, health and spirituality; the politics of health and medicine; alternative definitions of health and alternative paradigms before western medicine; the social and environmental influences on our stress that go beyond individual; community and educational resources for health; valuing our bodies; the history of racism in science and scientific experimentation on black bodies, for example, ethnology research; and how race, class and authority affect different groups when it comes to social health issues like addiction (KNAPP commission on corrupt cops). 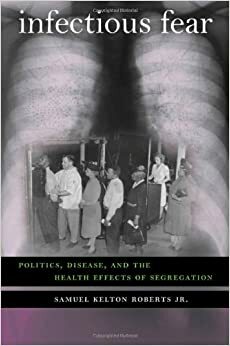 One of the speakers, Dr. Harriet Washington, author of Medical Apartheid: The Dark History of Medical Experimentation on Black Americans from Colonial Times to the Present, covered the social and institutional impact on access to holistic health for Black Americans. 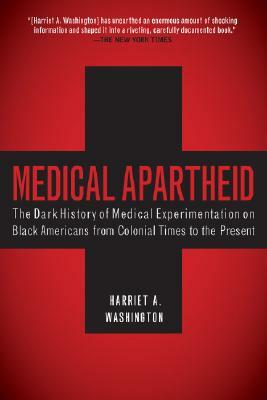 She said our ancestors recognized a difference between medical and health, that there was a medical apartheid in which black people received the same medical treatment as animals did. Although western medcine and science dismissed them, our ancestors had their own biomechanical medical systems. For example, Africans had their own vaccines and surgeries as well as knew information like citrus is good for the immune system. But they also knew that a person is more than body and health, more than the absence of disease; spiritual, psychic and social background also affects health. When it comes to health, western thought has a martial attitude towards disease — fighting disease — which is not traditional in the East. Now western medicine is appropriating all of those ancient health beliefs and practices. Still Western medicine does address the social and environmental pressures that impact people of color and poor people’s health. Examples include low number of physicians in the areas we live; higher exposure to toxins based on dangerous living and working conditions; stress from inability to control social conditions; the wide gap between the rich and the poor leads to poorer health in middle class and poor communities (robin hood index); the coupling of medication with profit-making corporations and privatization of health care; unethical testing and treatment on poor, prison populations and third-world countries; the coupling of employment with insurance; the lack of research and literature that accurately looks at these issues beyond individualistic and other masking factors like education; and the lack of looking at social and historical context when it comes to oppressed groups and health that still are relevant today. One example of the last one she gives is the history of ethnology in which black people were seen as less intelligent, highly sexed and had diseases and immunities others didn’t have, such as black people were immune to suicide and experienced less pain because our nervous systems were supposedly primitive. This shaped American thought and was the epitome of medical thought at the time. It influenced later the belief during the Tuskegee Experiment that black people didn’t suffer from mental derangement, so syphilis wouldn’t damage the minds of the patients. Many medical practitioners today still don’t believe we suffer as much pain and so are less likely to believe when we are in extreme pain. Although she sees little hope because corporations are are so overreaching and it is harder for smaller people to make a difference, but she does see changes in the medical field in mentality and diversity. Washington believes that maybe we need a more welfare, socialist state; maybe we need to think of God as a socialist. We need changes in laws and to break the ties between corporations and lawmakers. We need to appreciate the ancients thoughts of connecting spirituality, social and medical. 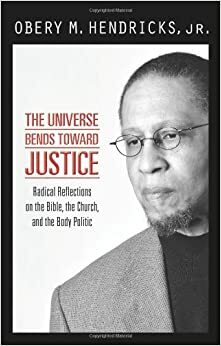 The second speaker, Dr. Obery Hendricks, author of The Universe Bends Toward Justice: Radical Reflections on the Bible, the Church, and the Body Politic, also agreed that the West “just ain’t right,” that it is out of touch with the universe at times. We need to relearn that health is not only physical, but should be holistic and integrated involving the supra-personal, interpersonal and intrapersonal. Disease comes from imbalance in all those areas an being out of alignment. Much of western science does not recognize the integrated being. Hendricks mentioned a book he is writing about Martin Luther King’s radical philosophies about spirituality, economy and community, such as the beloved community and that spirituality is about what you do. Economics and justice for social pathologies should be a crucial part of health. He referenced an instance where he was at the White House and brought up a need for a commission on police brutality and it was ignored quickly. We need a real democracy in the workplace (stress from not enough leverage, less unions, no healthcare). We need to uncouple religiosity and spirituality. We need education reform because schools are training and conditioning students not to be leaders and not to think critically and ask questions to empower themselves (his mother died from colon cancer and found out to late because she didn’t ask why she was getting sicker). We need to reform the ideas of liberty and freedom from mainstream conservatives and emphasize justice, social responsibility and social action, words that are mentioned most in the Bible. We need to emphasize community and not individualistic, personality cults of religions and parties today, as he calls it “Churchianity.” We need to value ancient thoughts and practices about spirituality, health and science, and not see them as primitive.